Situated in a rural location, this historic apartment building is 1 mi (1.5 km) from Garden of Daniel Spoerri and within 6 mi (10 km) of Mount Amiata Fauna Park and Castle Arcidosso. Monte Amiata and Parco Piscine Capenti Outdoor Pool are also within 12 mi (20 km). 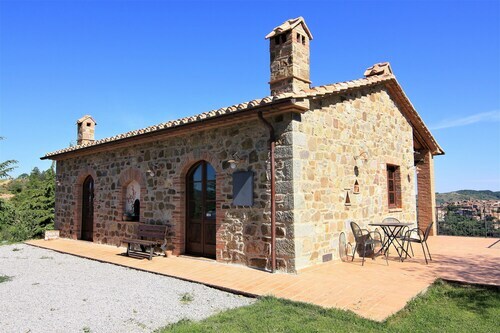 Situated in a rural location, this historic vacation home is 1 mi (1.5 km) from Garden of Daniel Spoerri and within 6 mi (10 km) of Mount Amiata Fauna Park and Castle Arcidosso. Monte Amiata and Parco Piscine Capenti Outdoor Pool are also within 12 mi (20 km). 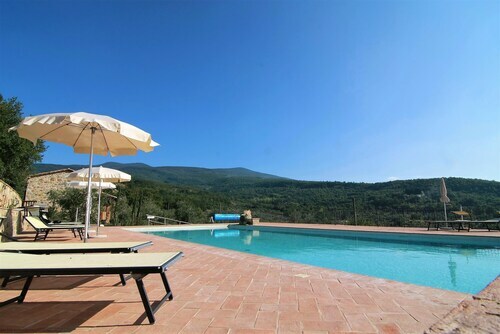 This family-friendly Seggiano property is located in the mountains, 1.2 mi (2 km) from Garden of Daniel Spoerri, and within 9 mi (15 km) of Parco Piscine Capenti Outdoor Pool and Mount Amiata Fauna Park. Fortress of Tentennano and Castle Arcidosso are also within 9 mi (15 km). 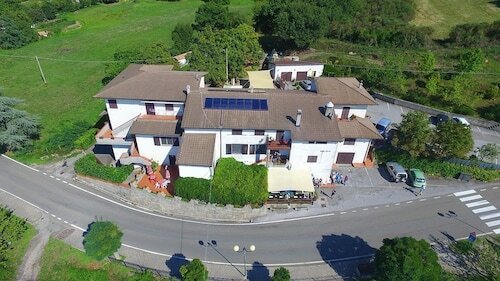 Situated in Seggiano, this vacation home is close to Garden of Daniel Spoerri. Area attractions also include Monte Amiata and Mount Amiata Fauna Park. 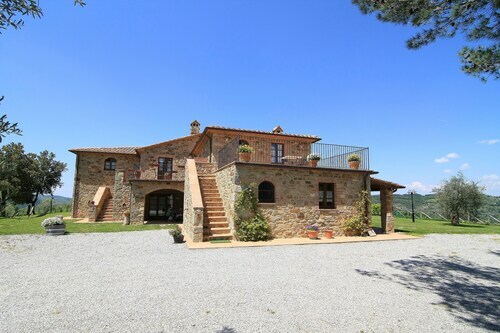 Situated in Seggiano, this farm stay is 1.5 mi (2.4 km) from Garden of Daniel Spoerri and within 6 mi (10 km) of Mount Amiata Fauna Park and Castle Arcidosso. Parco Piscine Capenti Outdoor Pool and Mercury Mining Museum of Monte Amiata are also within 9 mi (15 km). 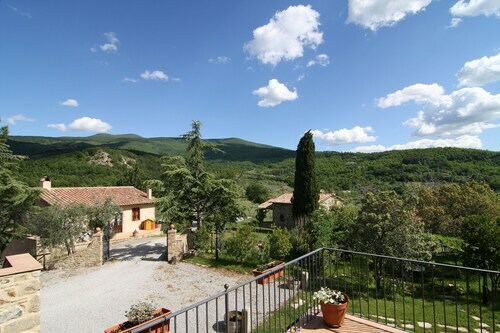 Situated in the mountains, this vacation home is close to Garden of Daniel Spoerri and Monte Amiata. Area attractions also include Baths of San Filippo and Parco Piscine Capenti Outdoor Pool. Enjoy the fresh air with Mother Nature at Garden of Daniel Spoerri. In order to explore it, you will have to head to Seggiano, 85 miles (137 kilometers) from Rome, the country's capital. If you'd like to be right in the middle of things, there are 3 accommodations within 0.1 miles (0.2 kilometers) of Garden of Daniel Spoerri that are sure to make your stay an enjoyable one. If you would be happy to head a little farther away to book the right place, you might want to try Montepulciano. Just 15 miles (24 kilometers) away, it makes for an accessible base, with 3 hotels to choose from. Start your search for the perfect room. at the Il Tosco, Palazzo Carletti and Etruria Resort & Natural Spa. You won't have to spend all your money on an expensive hotel when you could stay at one of the lower-cost establishments that are available. You'll find the Ombianco 3, just 1 mile (2 kilometers) away, and the Ombianco 1 is a meager 1 mile (2 kilometers) away. You don't have to be rich and famous to stay at one of the upmarket hotels that are located in the area. You may wish to check availability at the Castello di Velona SPA Resort & Winery and Park Hotel Spa & Resort. 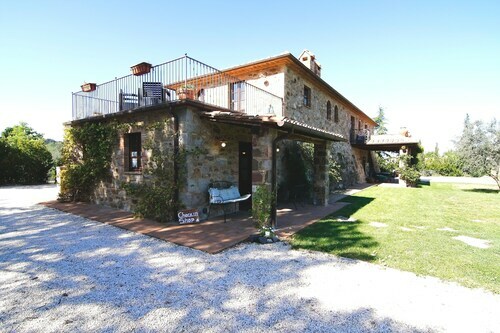 After visiting all the major tourist sights, sample the offerings at Farmhouse Antico Casale Pozzuolo (Pod.Pozzuolo 1, Seggiano), just 0.2 miles (0.3 kilometers) away. Grab some snacks and walk to the peak of Monte Amiata. Castle Arcidosso, a well-known castle, is certainly a wonderful spot for history fans and their families. You'll imagine yourself living many centuries ago as you go on a tour of this remarkable landmark. Protected to let Mother Nature flourish, Mount Amiata Fauna Park is a pleasant place to spend some alone time. Have a laugh with the kids as they slip down waterslides and practice their swimming at Parco Piscine Capenti. Look up House Museum of Monticello Amiata once you've visited all the popular museums and you're hungry for more! How Much is a Hotel Room in Garden of Daniel Spoerri? Hotels in Garden of Daniel Spoerri start at $55 per night. Prices and availability subject to change. Additional terms may apply.